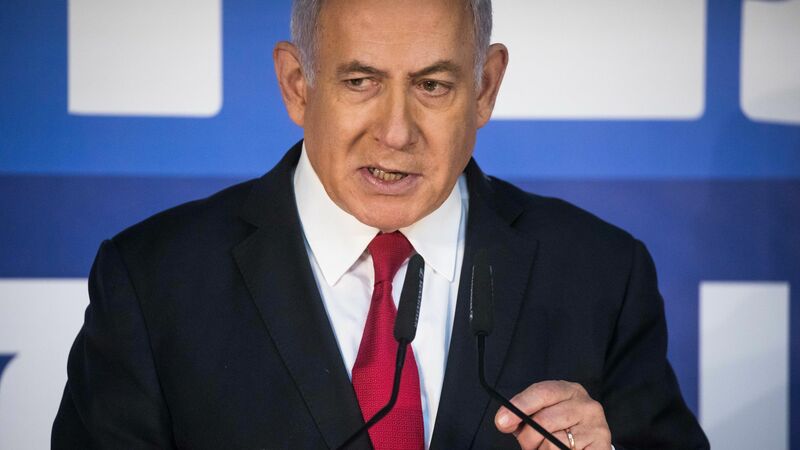 Fresh exit polls from Israel's two main television channels show a narrow victory for Prime Minister Benjamin Netanyahu. Why it matters: This would be the fourth consecutive election victory for Netanyahu, who has led Israel for the past 10 years and 13 years in total. He campaigned while facing indictments for bribery, breach of trust and fraud. According to Channel 13's updated exit poll, Netanyahu and his right-wing Likud party won 35 seats while centrist challenger Benny Gantz's Blue and White party won 34 seats. The poll shows right-wing bloc with 65 seats and the centre-left bloc with 55. Channel 12's updated poll shows Likud with 35 seats and Blue and White with 34. According to this exit poll, the right-wing bloc has 63 seats and the centre-left bloc won 57 seats.